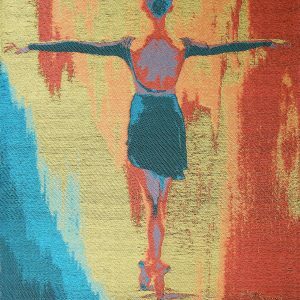 "Ballet Pose" woven tapestry - Paulette Marie Sauve fine art, mixed media paintings, and weaves tapestry. In this photo you can see my recent work called “Ballet Pose” #332047. / Dans cette photo on peut voir une de mes oeuvres récentes qui s’appele “Ballet Pose” #332047. 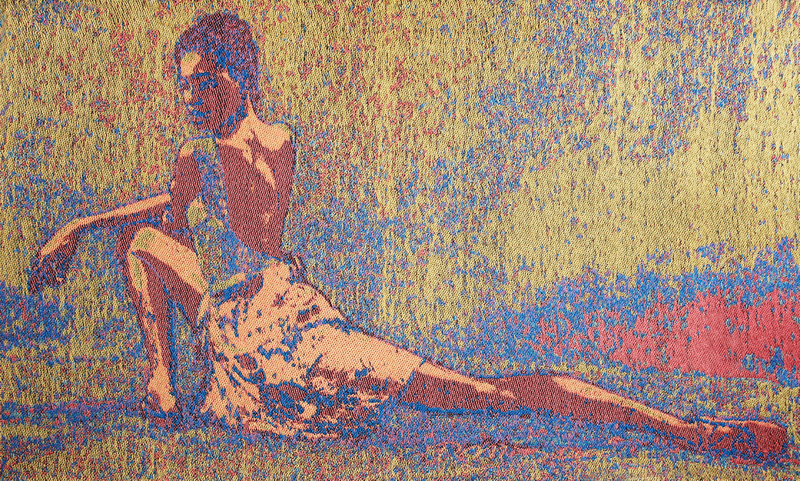 This is a handwoven Jacquard tapestry made of cotton and bamboo yarn, and measures 27 inches high by 46 inches wide. 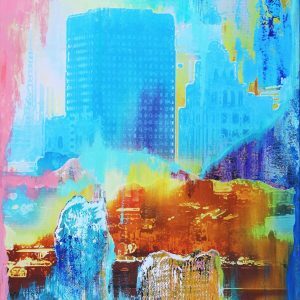 / Cette oeuvre est tissée à la main en coton, et les dimensions sont 27 pouces de haut par 46 pouces de large. This gorgeous ballet dancer posed for a group of photographers including myself. Then I made a colored sketch from photo and created a weave file with different weave patterns in each color section. 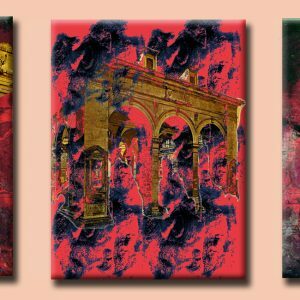 Tapestry triptych available in ink on cotton duck or hand woven bamboo fiber.